A portable ballet barre is a must for any dancer on the go! The En Pointe PortaBarre™ is truly a unique portable dance barre. Our dance barre is very strong and yet light weight. Our portable dance barre assembles in seconds with an internal double button interlocking system. This portable ballet barre works well for home studio, dance teachers’ demonstrations, competitions and where space is limited. Just unsnap the PortaBarre™ and place in its custom-made padded carrying case with handle and take to classes or for travelling. The height of the double barre is 42.5” and lower barre is 31.5” (standard for ballet companies). EnPointe’s portable ballet barre has non-skid feet and proven stability and is made of 1.5″ diameter high-grade aluminum. The PortaBarre™ has no sharp edges and requires no tools for assembly. Our PortaBarres are used by dance, yoga, pilates and fitness studios, universities, colleges, elementary and high schools, recreation centers and rehabilitation facilities as well as ballet touring companies throughout the world. When stored in the carrying case, the PortaBarre™ is a convenient travel size (57”x10”x5”) and can be stored under a bed or upright in a closet. 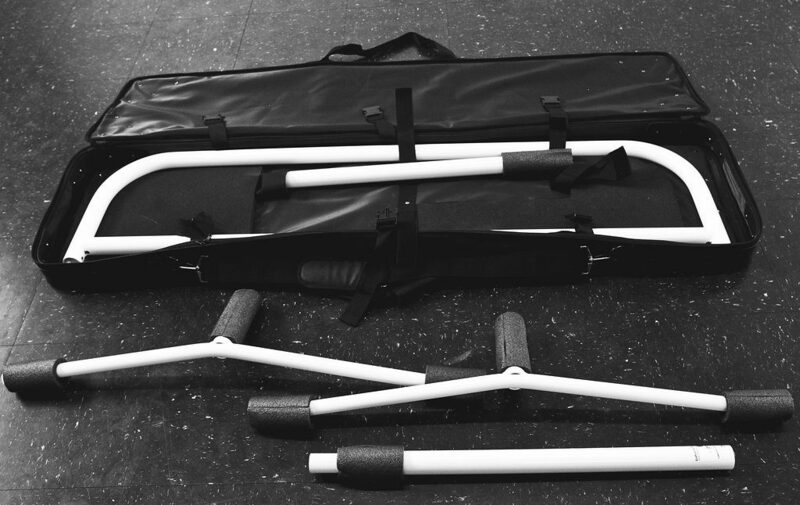 Our portable barre is available in three different sizes – 4.5’, 9’ and 13’. The 13’ PortaBarre™ comes complete with a centre support and two carrying cases. 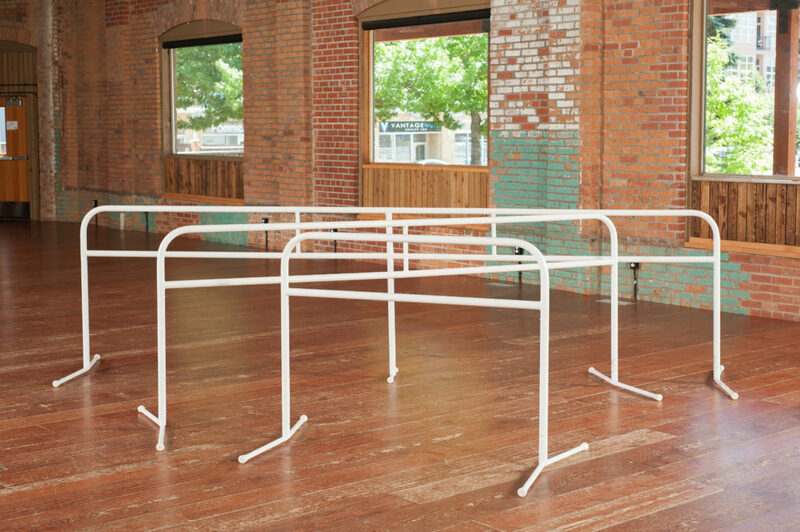 Our portable ballet barre is powder coated with a scratch resistance finish to endure the demands of any dance studio. Finishes are available in white, grey or black. The PortaBarre™ was developed by dancers from Royal Winnipeg Ballet. While on tour in 2002, David Lucas and his wife, Lissette Salgado noticed facilities for the pre-requisite dancer warm-up activities were limited in the venues where they performed. 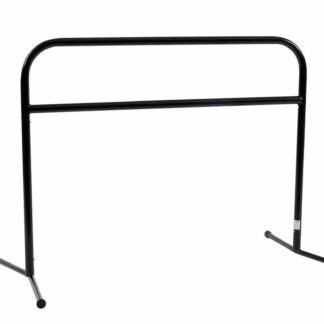 From this obstacle came the ideal of designing a strong yet light-weight portable ballet barre. On David’s return to Winnipeg, the PortaBarre™ was invented.